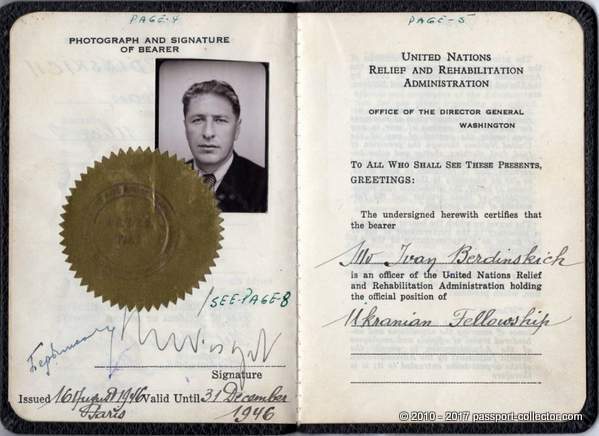 The United Nations Relief and Rehabilitation Administration (UNRRA) was an international relief agency, largely dominated by the United States but representing 44 nations. Founded in 1943, it became part of the United Nations in 1945, and it largely shut down operations in 1947. Its purpose was to “plan, co-ordinate, administer or arrange for the administration of measures for the relief of victims of war in any area under the control of any of the United Nations through the provision of food, fuel, clothing, shelter and other basic necessities, medical and other essential services”. Its staff of civil servants included 12,000 people, with headquarters in New York. Funding came from many nations, and totaled $3.7 billion, of which the United States contributed $2.7 billion; Britain, $625 million; and Canada, $139 million. UNRRA cooperated closely with dozens of volunteer charitable organizations, who sent hundreds of their own agencies to work alongside UNRRA. In operation only three years, the agency distributed about $4 billion worth of goods, food, medicine, tools, and farm implements at a time of severe global shortages and worldwide transportation difficulties. The recipient nations had been especially hard hit by starvation, dislocation, and political chaos. It played a major role in helping Displaced Persons return to their home countries in Europe in 1945-46. Its UN functions were transferred to several UN agencies, including the International Refugee Organization and the World Health Organization. As an American relief agency, it was largely replaced by the Marshall Plan, which began operations in 1948. UNRRA operated in occupied Germany, primarily in camps for Displaced Persons, especially the 11,000,000 non-Germans who had been moved into Germany during the war, but did not render assistance to ethnic Germans. In Asia the organization provided assistance in China and Taiwan. Allegations of fraud or corruption in UNRRA were rare, but there were allegations of misappropriation of the aid by the Kuomintang (Chinese Nationalist Party). UNRRA Headquarters was in Washington, D.C., and the European Regional Office was set up in London. The organization was subject to the authority of the Supreme Headquarters of the Allied Expeditionary Forces (SHAEF) in Europe and was directed by three Americans during the four years of its existence. Its first director-general was Herbert Lehman (1 January 1944 to 31 March 1946), former governor of New York. He was succeeded by Fiorello La Guardia (1 April to 31 December 1946), former mayor of New York – who later learned that his sister, Gemma LaGuardia Gluck, and other relatives had been imprisoned in Nazi concentration camps. LaGuardia was, in turn, followed by Major General Lowell Ward Rooks (1 January 1947 to 30 September 1948). Here is an example of a UNRRA “Certificate of idendity” issued in 1946. The earliest document issued by UNRRA I’ve seen was from 1944.